Is there such a thing as a cheap to insure BMW? BMW’s premium image means most drivers reckon they come with a hefty insurance premium attached. However, there are plenty of models in the German firm’s line-up that are much easier on your piggy bank when it comes to getting insurance cover. 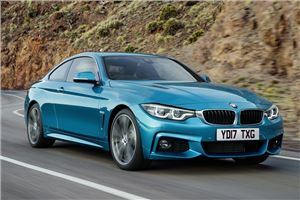 Whether you’re after a practical hatch, estate or MPV or you’d prefer something sporty or with all-wheel drive, there are cars in the BMW range that don’t cost a fortune to insure. The key fob tells the world you drive a BMW when you plop it down in the café with friends. Little do they know you have a seven-seat MPV parked outside and it’s front-wheel drive. All of that might go against the traditional BMW grain, but it means you can take the whole family plus luggage and enjoy a keen drive. The 216d version isn’t a ball of fire in performance terms, but it’s smooth, quiet and hauls this people carrier along easily. Stick with this model and your premiums will be considerably lower than for other versions. 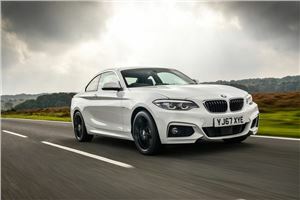 Practical small hatches don’t all have to be front-wheel drive, as the BMW 1 Series proves with its rear-drive layout. It delivers a big dollop of driving fun thanks to a transmission layout that’s got more in common with a sportscar than a supermarket runabout. Even so, it’s easy to drive and the turbocharged 1.5-litre petrol engine in the 118i is smooth and zesty. You don’t pay heavily for that enjoyment as this BMW sits in the same insurance band as many of its rivals. Some competitors offer more rear seat space, but it’s a small penalty for an entertaining, affordable small hatch. If ever a car was more closely associated with its brand values, we’d like to see it. The 3 Series sums up BMW perfectly: agile, intuitive to drive and crisply styled. In Touring estate form, it’s even better in our view as you get all of the plusses with the added bonus of a 495-litre boot that’s simple to expand when you need extra space. 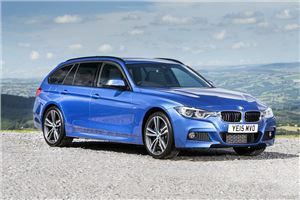 For cost-effective insurance, the 316d is the one to have. Its 2.0-litre turbodiesel engine makes it cheap to run for both company and private buyers. The 2 Series Coupe just looks right from whichever angle you see it. It sleek, low-slung styling has all the right sporting overtones, yet inside there’s a good deal more room front and back than its predecessor. If you go for the 218d Coupe, it comes with a Group 20 insurance rating, which is markedly lower than most others in the line-up. 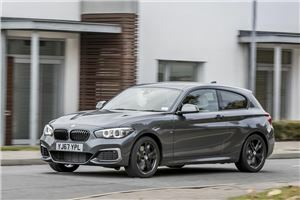 True, it’s not as swift as some of those alternatives, but the 218d’s engine is smoother and more refined than in the more potent 220d, so it’s better to drive and you save on your premium. 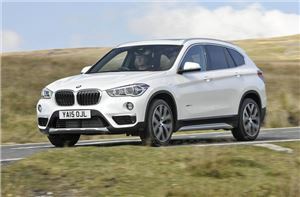 You’ll have to restrain yourself to the SE to get the best deal on insurance for the BMW X1, but if you do you’ll get four-wheel drive and this model is far from lacking in equipment or appeal. For starters, it has lively performance, nimble handling and you’re never hindered by its high-riding stance. 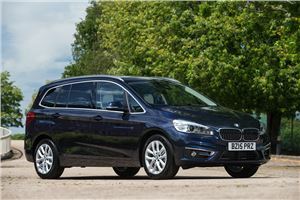 Although a smidgen shorter than its predecessor, this X1 is taller and wider to free up plenty of cabin space and there’s a generous 505-litre boot to cope with family and shopping demands. Can you have it all in a single car? 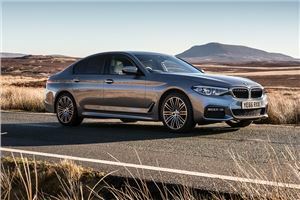 The 420d xDrive Sport certainly does it best to provide that thanks to all-wheel drive, stylish coupe looks and an insurance ranking that undercuts its arch rival from Audi. There’s plenty more to like about this 4 Series too. The engine might not be the last word in refinement, but it offers plenty of performance and low running costs. You also get a well-appointed cabin with enough space for four and a decent boot. 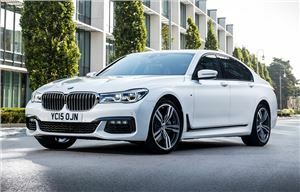 There’s a strong case for the latest BMW 5 Series being the best car in the world. It serves up supreme comfort and cabin space blended with driving attributes that leave you in no doubt it’s been honed to perfection. When it comes to paying your insurance bill, the 520i is the one to choose and picking petrol over diesel is not a wrench. The 2.0-litre turbo motor is very refined and comes with a decent turn of speed, while economy and emissions are also gentle on your pocket. There’s no way a full-scale luxury saloon can be reasonable to insure. Or can there? Tick the box for the 725d and it falls into Group 44 for the standard short wheelbase model. When you’re considering the corporate bottom line, that sort of saving matters. However, you won’t be scrimping on the good things in life as the interior is just as opulent as any other Seven. You also won’t notice there’s a 2.0-litre turbodiesel under the bonnet as it’s hushed and can deliver 0-62mph in just 6.9 seconds and 61.4mpg average economy. Full-size SUVs come with equally large bills, or so conventional thinking has it. 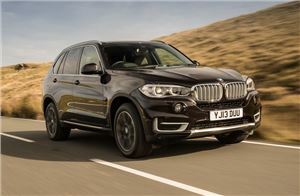 Choose the BMW X5 xDrive25d SE and not only does it dodge the worst ravages of insurance it also comes with a handy seven-seat configuration. All of that makes this particular BMW a very wise choice for anyone who wants the image, presences and comfort of the X5 but without giving their bank manager palpitations. You could have this car with rear-drive only in the same insurance bracket, but we’d rather have the assurance of all-wheel drive. In the rarefied world of high-end four-door coupes, this BMW is one of the most svelte. It comes with all of the sporting prowess of its two-door Coupe sister, yet you have the ease of four doors and a large boot, making it a GT car par excellence. 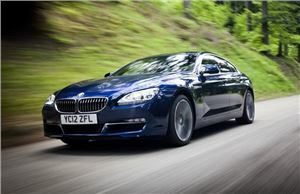 Choosing the 640i with its turbo petrol motor brings down the insurance group to 47 and you miss out on little else. It’s not quite as frugal as the diesel versions, but you’re compensated with swifter performance, which is a large part of the attraction with this car after all.